The plant is a native of the Himalayas and the rhizome is known in Hindoostan as kafur-kachri or kapur-kachri and is kept dried in slices which are ½ to 3/8 inch in diameter and from ¼ to 3/8 inch in thickness. It is an annual herb with horizontal root-stock and tubesous root fibres, leaves are 30 cms or at times more than that in length. Flowers ascending and densed and of yellow in color. Inflorescene is spiked. Capsule is globose. The rhizomes are aromatic with bitter camphorous taste. Chemical constituents: Hedychium oil has various chemical compounds that include ethyl ester of p-methoxy cinnamic acid, sesquiterpenes and methyl paracumarine acetate. It also contains sitosterol and its glycoside. Extraction: It is extracted by the steam distillation of berries. It has been described as useful specially as an antiasthmatic agent. It counteracts bad mouth taste and smell. Due to its woody,spicy & peculiar odour like roots, it is used in perfume formulations. It is used in hair oil especially to prevent baldness and hairfall and makes them more manageable. It is reported for its anti-microbial properties and used traditionally as one of the ingredient in herbal vanising creams to protect the skin from sun's UV rays. An essential oil obtained from the flowers is valued in high grade perfumes. An essential oil obtained from the flowers is valued in high grade perfume.The root contains 1.7% essential oil, which is used medicinally. Young buds and flowers are eaten or used as a flavouring. The root is cooked and is also a famine food. 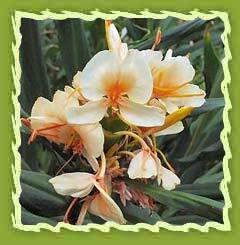 Hedychium is used in many industrial processes like natural fertilisers, pesticides, building materials etc. Compost : Plants used for activating compost heaps, providing biomass for composting, using as instant compost etc. Liquid feed: Plants that can be used to make a liquid fertilizer. Fungicide : Arrests the growth of, or kills, fungi. 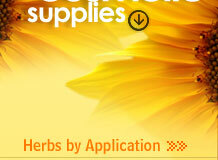 Herbicide : Plants or plant extracts that can inhibit the growth of other plants. Parasiticide : Kills external body parasites such as hair lice.. Insulation : Providing insulation against extremes of temperature, sound or electricity. Pipes : For carrying water etc. Pitch : Used for waterproofing, in paints etc. Plaster : Used for covering walls. Roofing : Used to give a waterproof roof to buildings. See also Thatching. Thatching : Used for making thatched roofs.